Climate change will not act alone, but instead interact with – and potentially aggravate – other pressures. For example, semi-arid areas of the world including large parts of Africa will experience more unpredictable rains. This could lead to poorer harvests, greater water stress, famine, higher incidence of disease and increased conflicts with wildlife that share the same land and water resources. It is important to be able to accurately predict these ecological, economic and societal consequences in order to design effective actions in response, whether these are aimed at trying to stop them from happening by curbing carbon emissions or adapting to the inevitable changes. Climate change is a multi-faceted issue and this is reflected by the variety of climate change relevant projects and approaches developed at ZSL. 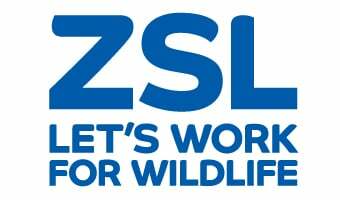 The Society is very well placed to help tackle the problem, with conservation projects in over 50 countries, strong science and a large public engagement potential through its zoos, international networks and convening ability. Our climate change work encompasses monitoring and predicting the impacts of climate change on biodiversity and ecosystem services; developing and evaluating the effectiveness of mitigation and adaptation strategies; providing evidence-based policy recommendations; and, of course, monitoring and reducing our own carbon footprint.